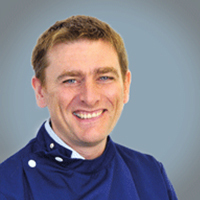 Stephen is a Clinical Director at Southern Counties Veterinary Specialists and founder of the cardiology service. Stephen qualified from the Royal Veterinary College in 1991 and has worked for many years in mixed and small animal practice before becoming a cardiology specialist. Stephen gained his RCVS Cardiology Certificate in 1997 and his RCVS Diploma in Veterinary Cardiology in 2012. He an RCVS Recognised Specialist in Veterinary Cardiology. Stephen has been accepting cardiology and respiratory referrals for nearly twenty years and offers extensive experience in both first opinion and referral practice.